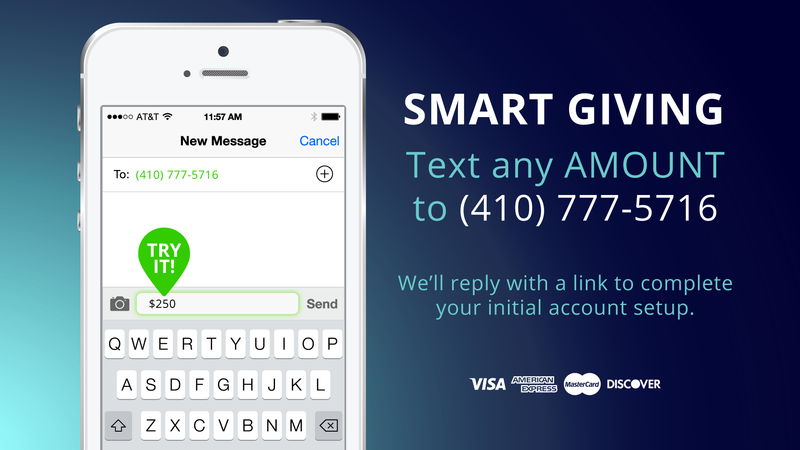 Text the AMOUNT (and keyword if you wish) to (410) 777-5716 (ex. 200 Tithes). Smart Giving uses industry-leading security to protect your personal information, and is never charged to your phone bill. You'll simply set up your credit card the first time you give. You can also give through the Freedom Church app. You can give in person at any Sunday experience at Freedom Church. Simply place your donation in a bin located around our auditoriums. Take the Freedom Church app with you for instant access to inspiration and information.